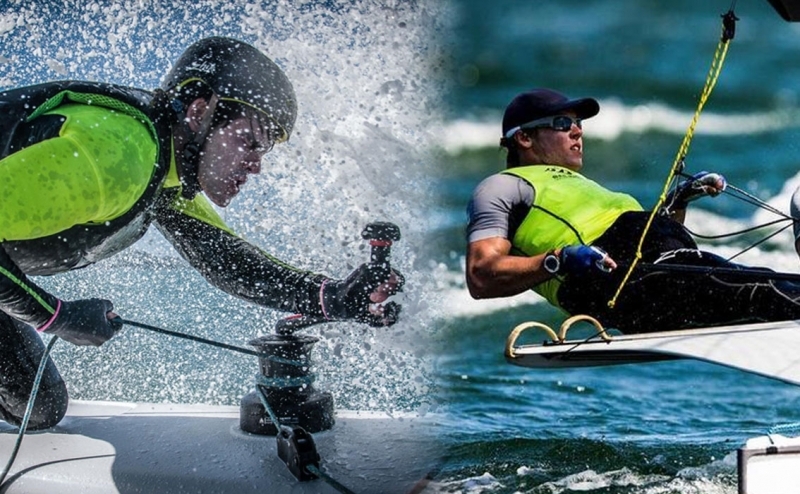 Royal Akarana Yacht Club members ISAAC McHARDIE and HARRY HULL have been named in the NZL Sailing Team for the Red Bull Youth America’s Cup. 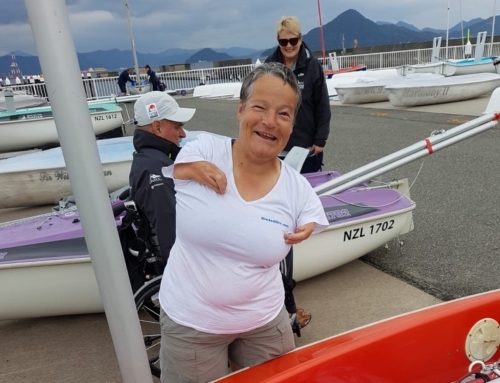 McHardie, who is campaigning for the 2020 Olympic Games in the 49er class with fellow member William McKenzie, has been training from RAYC for the last two seasons, and said that he is thrilled to have made the team. “The Youth America’s Cup is the pinnacle event for the young generation and one step closer to the actual America’s Cup. One of my goals and dreams is to be an America’s Cup sailor in the future,” said McHardie. “It’s great moving forward as another way to experience high speed action as I train for the 2020 Olympic Games,” continued McHardie. Harry Hull, who is no stranger to high performance multihull racing, is “stoked” to be a part of the New Zealand Youth America’s Cup team. Hull, who races on the foiling GC32 catamaran Frank Racing, said that it’s an honour to be announced as a team member. Harry Hull on board the GC32 Frank Racing. Photo by Suellen Davies. “This is something I’ve been aiming for since watching the guys win the Youth America’s Cup back in 2013. It’s such a great event to be a part of, and is just one step closer to one day racing in the actual America’s Cup. I’m looking forward to doing it for the Kiwis! ” said Hull. The next crop of potential America’s Cup sailors has been identified with the naming of the NZL Sailing Team for this year’s Red Bull Youth America’s Cup. The NZL Sailing Team will go into the event, which runs in conjunction with the America’s Cup in Bermuda in June, as defending champions. Logan Dunning Beck will be skipper and helmsman for the campaign and will be joined by Stewart Dodson, Isaac McHardie, Micah Wilkinson, Matt Kempkers, Luca Brown, Harry Hull and Josh Salthouse. As many as 40 youngsters applied to be part of the NZL Sailing Team, with 13 invited to trial. Emirates Team New Zealand helped with the selection of the final team of eight. They will be allowed to practice on an AC45 for a maximum of seven days before the official practice sessions. In the meantime, the NZL Sailing Team have been training on a GC32 foiling catamaran, which is similar to the AC45s. 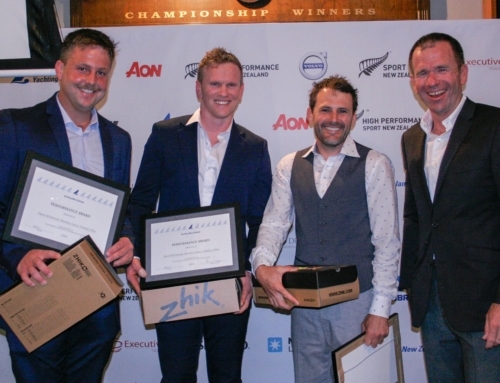 Yachting New Zealand chief executive David Abercrombie said the Red Bull Youth America’s Cup was a good chance to expose some of this country’s best young sailors to a professional environment. He also said the team will have a simple goal. “The only reason to enter is if you’ve got a decent chance of winning,” Abercrombie said. “Many of the teams have a lot of experience sailing the AC45s but we have a pretty strong team. It’s not going to be easy, but we’re going to give it our best shot. The Red Bull Youth America’s Cup will be sailed in the same AC45 foiling catamarans the America’s Cup teams competed in during the Louis Vuitton America’s Cup World Series and are capable of at least 37 knots (68kmh). All six teams competing in the America’s Cup will race in the Red Bull Youth America’s Cup along with entries from Austria, Bermuda, Denmark, Germany, Spain and Switzerland. Six sailors aged 19-25 will be on each catamaran. Congratulations Isaac and Harry! Such an awesome opportunity for you both!